We love video games for being video games, right? At least that’s what I thought all my life. But after a reboot of my designer brain happened, I was stunned with the discovery that it might not necessarily be true. I mean, I still love video games when they are video games. It’s just that I also love them when they are not. Here is five well known action-adventure games. BIOSHOCK. MODERN WARFARE 2. GRAND THEFT AUTO 3+. RED DEAD REDEMPTION. UNCHARTED 3. Think about your favorite, most memorable moments from the single player part of each, then read below if I have managed to guess any of these moments. BIOSHOCK: First ten minutes. Entering Rapture. MODERN WARFARE 2: No Russian. You take part in an airport massacre of hundreds of civilians. 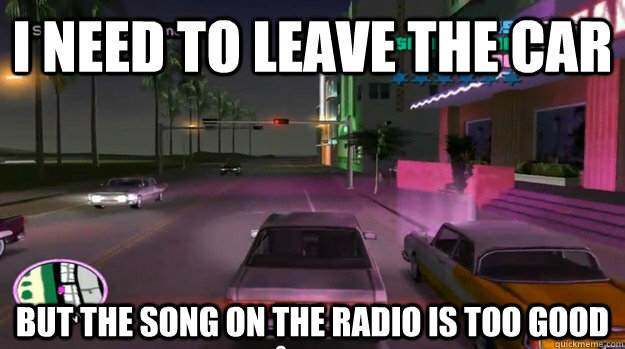 GRAND THEFT AUTO 3+: Driving around, listening to the radio. RED DEAD REDEMPTION: Riding into Mexico, accompanied by a moody song. UNCHARTED 3: The desert section. Dehydrated, tired Drake walks in circles in the desert’s heat and cold for two days. They are game-free. They are gameplay-less. And, on the other hand, in threads like that no one ever talks about the regular gameplay. No one mentions combat zones, jumping sequences, or enemy variety. In other words, game experiences we love to share with others are usually not about the regular second to second gameplay. Our brains don’t consider it worth remembering, and the only thing we usually have to say for it – especially months or years after we finish the game – is that “the gameplay was cool”. I think so, and I also think you’ve heard that one before. It’s just weird that not many people do anything with it. Does it mean that if you want a deeply emotional game, you should drop regular gameplay, with all its core combat loops, gameplay mechanics and other voodoo? Any proof for that hypothesis? The Walking Dead, for example. Yeah, sure, it features “real gameplay” in the form of “survival moments” (fire a gun at a zombie) or light puzzle solving (pick up a key lying next to a chest to open the chest), but we all know these are just a fig leaf. Remove them and you would still get goose bumps just the same. P.S. There will be a follow up post because the sky fell. I knew the title of this post was too click-baity, need to stop with that. Cough. Meanwhile, please read this on NeoGAF. P.P.S. And here’s the follow up post!